The night cough. Most of us have experienced it. Your cold is starting to get better. You are beginning to feel a little more energetic. And then, you climb into bed ready for a good night’s sleep, and BOOM, the coughing starts. You know, that coughing that hasn’t happened all day. The coughing that saved itself for nighttime when it could wreak havoc with your ability to get some much needed rest. But never fear, I have a simple homemade natural cough remedy that will save you from sleepless nights. This natural cough remedy is an absolute staple in our house during the winter. So what makes it so amazing, I hear you ask. Turmeric. For those of you who don’t know what that is, turmeric is a medicinal plant used in Ayurvedic medicine. It has been used as a home remedy for many ailments for thousands of years. It is becoming increasingly popular in the Western world thanks to its anti-inflammatory, antioxidant, and anti-carcinogenic properties. It is also said to have anti-bacterial and anti-viral properties, which are extremely useful for combatting a cough or cold. 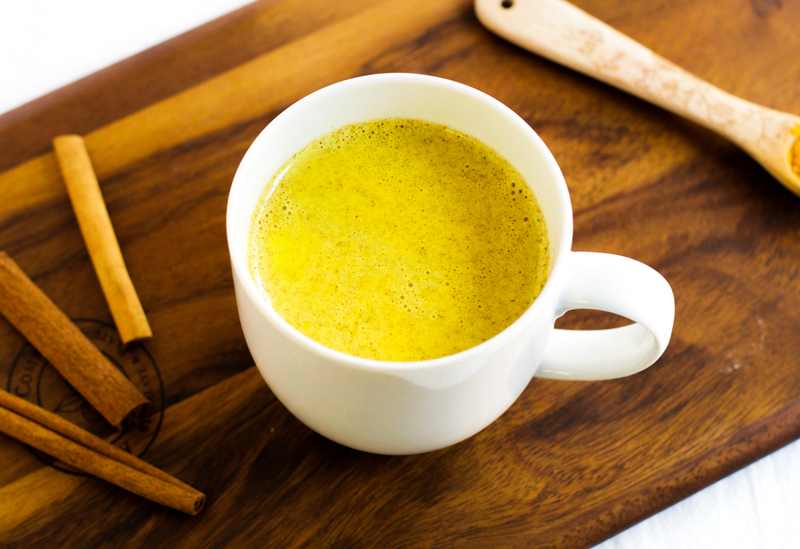 So next time you feel that nighttime cough coming on, make yourself a mug of this golden milk, and prepare yourself for a good night’s sleep. 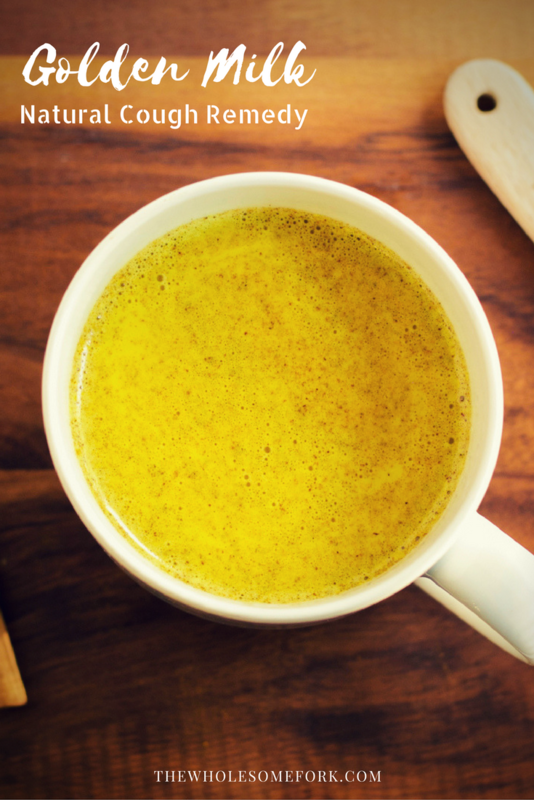 This vegan golden milk made with turmeric is an extremely effective natural cough remedy. Heat over a medium heat for about 3 minutes stirring occasionally (don't let it boil). *Alternatively, you can put all the ingredients in a mug, stir them well, and heat in the microwave for 50-70 seconds. Thanks for this! I use lot of tumeric but never thought to use as a cough remedy. I will keep it in mind. It is amazing how effective it is as a cough remedy. Every night this week my husband has been coughing like crazy until I make this for him. Then, within 10 minutes of drinking it, his coughing subsides and he gets to sleep. There’s a reason it has been used in Ayurvedic medicine for thousands of years! is this mixtureok for a baby? This is just what I need! In fact, I woke up last night with an incredibly painful, dry, scratchy throat. I’ll have to whisk this blend up before bed tonight. Happily, it sounds like quite a delicious remedy, too. Oh no, sorry to hear about your sore throat Hannah. Good luck and I hope you feel better soon. I didn’t have milk (coconut or other) but I had a can of coconut cream, so I mixed up the other ingredients in a mug with about a tablespoon of the cream and poured hot water over it. I’ve had a nasty cold for more than a week. It put me to sleep. That’s a great idea to use coconut cream that way. And I’m glad it helped get you to sleep 🙂 Sorry to hear about your cold. I hope you’re feeling better now. This sounds great but it is NOT vegan, as it contains honey. Vegetarian and dairy-free, yes. I would happily try this. But my daughter is vegan and so can’t. A misleading title, unfortunately. Thank you so much!! I was looking for something vegan and natural I could make from home. I have had a night time cough that has been bothering my partner and I for weeks now. I didn’t have any non dairy milk handy, so rather than going to the store, I used my almond milk creamer mixed with a little water. I also subbed agave for the honey and it worked great! I have a question, at night I am okay but during the day I have a wet cough – will this work for that as well? Hi Jesse. Yes it should help. Turmeric is an anti-inflammatory that will help with either kind of cough. 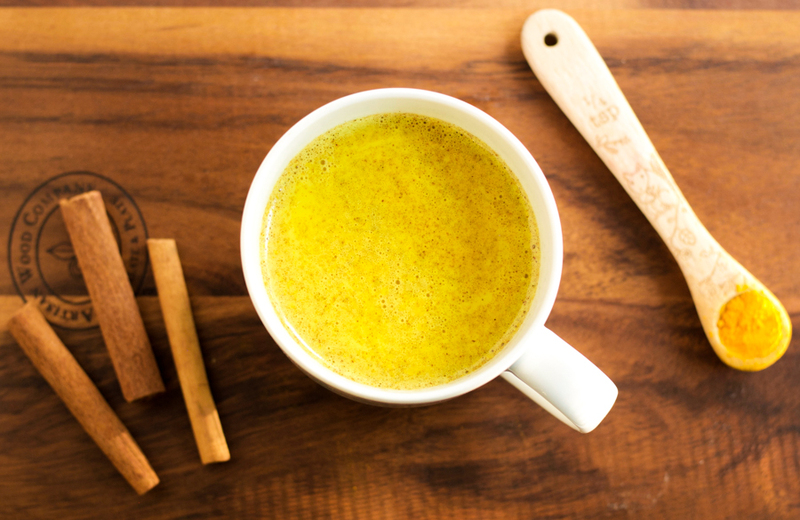 But you might want to try this turmeric lemon ginger tea instead. That might be even better. Hi there! I’ve had a cough for about a week now. I have tumeric supplements, do you think if I opened one or two it would work the same way? Thanks! Hi there. I’m not sure it would. When turmeric supplements are made, they usually extract the ‘active’ ingredient. But when you are dealing with a food that has specific health properties, there are other compounds in the food that add to the overall healthful effect. I would recommend using fresh or ground turmeric in the recipe, and saving the supplements to take as per the instructions on the bottle. Thank you! I’ll be sure to grab some on my next grocery run! Thank you for the recipe but this is not vegan. Can you please remove that from the headline, honey is not vegan. Hi Edwin. I’m sorry for the confusion. The recipe actually states that you should use maple syrup for the vegan version. Thanks! Oooh yum. I hope it worked! Can I use it during the day, I mean will it make me sleepy? I am recovering from a cold, and that dry cough has begun not just night but day.